But the consensus appeared to be short-lived as hours after the National Security Committee (NSC) meeting, Prime Minister Shahid Khaqan Abbasi claimed that the civil-military huddle condemned the ‘incorrect reporting’ and not the three-time former prime minister. Abbasi’s statement reflected a clear civil-military divide despite the NSC statement suggesting that participants unanimously rejected the former prime minister’s remarks on the Mumbai attacks. The statement from Abbasi – who chaired the meeting that was attended by three services chiefs, the DG ISI, and other senior civil and military officials – only added to the confusion on a day when Sharif stood by his remarks. The meeting reviewed the recent statement in the context of Mumbai attacks, as it appeared in the Dawn newspaper’s May 12 edition, and unanimously termed this statement as incorrect and misleading, said the official handout issued after a two-and-a-half hour huddle at the Prime Minister office. The participants, the statement said, observed that it was very unfortunate that the opinion arising out of either misconceptions or grievances was being presented in disregard of concrete facts and realities. The participants unanimously rejected the allegations and condemned the fallacious assertions. “At the same time, Pakistan continues to wait for cooperation from India on the infamous Kulbhushan Jadhav and Samjhota Express episodes,” the statement added. The National Security Committee resolved that Pakistan shall continue to play its due role in fighting the war against terrorism at all fronts. Soon after chairing the civil-military huddle, Prime Minister Abbasi met the former Prime Minister to convey the decision of the NSC. Insiders said the premier conveyed to Sharif the sentiments of the military leadership over his latest remarks. But Sharif refused to budge and insisted that he had only stated facts and would not backtrack from his statement. Appearing at a news conference, Prime Minister Abbasi took a different stance than reflected in the statement issued by the NSC. 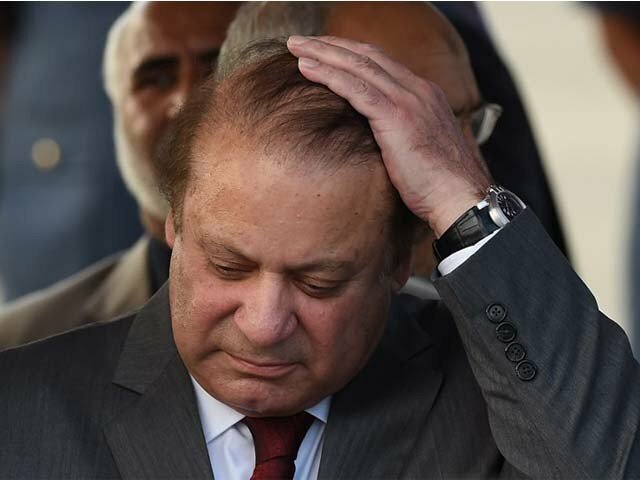 He attempted to bail out his leader, insisting that Sharif’s statement was misquoted by the Indian media and that the NSC only condemned the ‘incorrect reporting’, and not the former PM. He added that no one could dictate him. He explained that the Indian media “took a line or two” from the interview and misrepresented it out of context. The prime minister also added that the reference made to non-state actors was not made to blame Pakistan. But despite Abbasi’s best efforts at damage control, Sharif stood his ground and insisted that he had said nothing new, nor had he tried to say that his statement was taken out of context or he was misquoted. Former interior minister Rehman Malik, Lt Gen (retd) Mehmood Durrani, and former spy chief Lt Gen (retd) Ahmad Shuja Pasha had also made similar statements, Sharif added. He also questioned the claims by disgruntled PML-N leader and former interior minister Chaudhry Nisar Ali Khan that India did not provide sufficient evidence to conclude the trial. The NSC statement also recalled that it was not Pakistan, but India that had delayed the finalisation of the case. 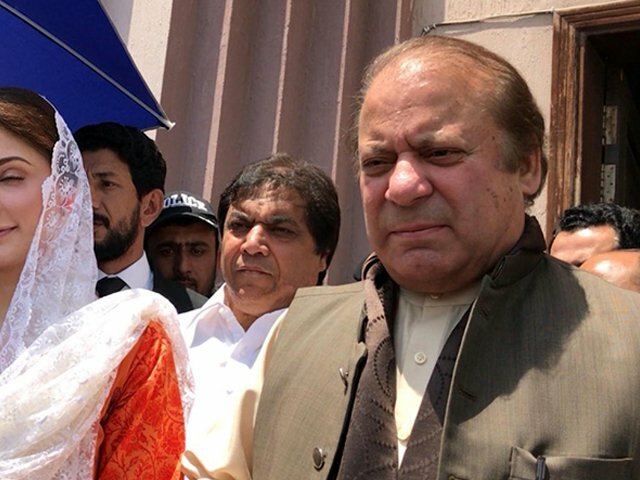 “Besides many other refusals during the investigation, the denial of access to the principal accused, Ajmal Qasab, and his extraordinarily hurried execution became the core impediment in the finalisation of the trial,” the NSC statement reads. However, the deposed prime minister was adamant that there was enough evidence to conclude the trial. 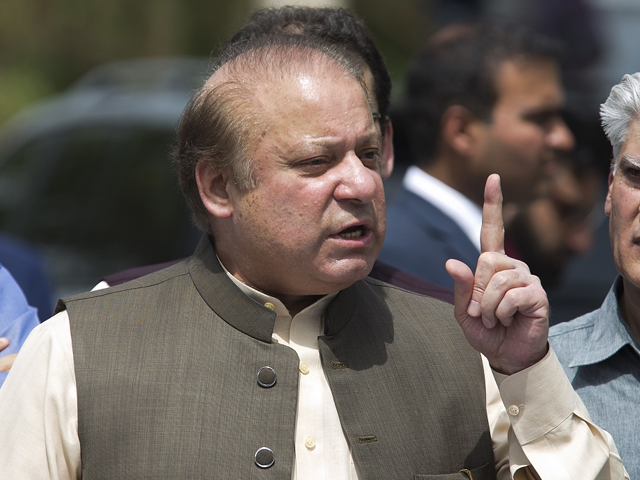 Sharif alluded to former president Pervez Musharraf and asked whether those who expelled the judges or supported the bloodshed of May 12 are patriots? “Are the violators of the Constitution patriotic? Are those who expelled the judges patriotic? Or those who supported the bloodshed of May 12?” he asked. He also suggested the formation of a commission to determine the true facts. All those who are declaring him a traitor should also be summoned by the proposed commission and hanged if anyone is found guilty, Sharif demanded. “We have isolated ourselves. Despite giving sacrifices, our narrative is not being accepted. Afghanistan’s narrative is being accepted, but ours is not. We must look into it,” he added. His statement was interpreted by Indian news channels as Pakistan formally confessing to a role in the Mumbai attacks which left at least 155 people dead.